No one wants to have to use first aid. But everyone wants the goods when bad stuff goes down in the backcountry. You don’t have to try to fit a planet-size first-aid kit in your backpack. But having basics on hand is just good medicine. You can buy a premade kit and then add or subtract, or build your own with your favorite case. But a great way to organize an ultralight first-aid kit is by common health issues. From blisters to broken bones, here’s what to take for worst-case scenarios in the woods. Let’s start small with the inevitable mosquito bite. 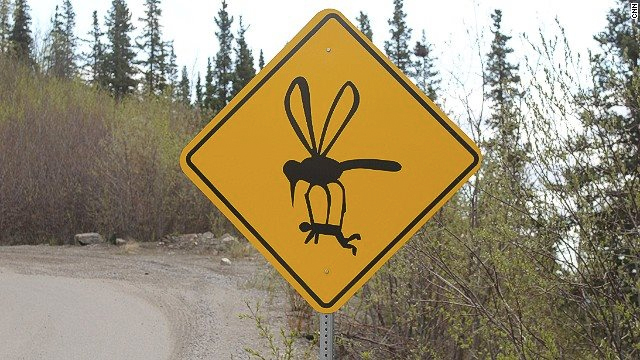 If you’re heading into a wet area, a notoriously bug-ridden spot, or are especially prone to attracting mosquitoes, the right repellent could mean the difference between an itchy or blissful trip. And with the possibility of Zika virus transmission, this is not a personal health item to skimp on. Everyone seems to have a favorite bug spray or lotion, but typically the best-acting mosquito repellents have a decent DEET component — up to 30 percent. If there’s one you already swear by for smell, smooth application, or effectiveness, by all means, go with it. Otherwise, start testing them now so you don’t have to wait until you’re out of range. Add itch cream in case those bites are simply inevitable. Gashes can happen so fast outdoors. You brush up against a tree branch, and the next thing you know there’s a sizable slash on your arm. And the more active you are — say, zipping through the trees on a mountain bike — the more prone you are to wounds in the woods that just can’t wait. 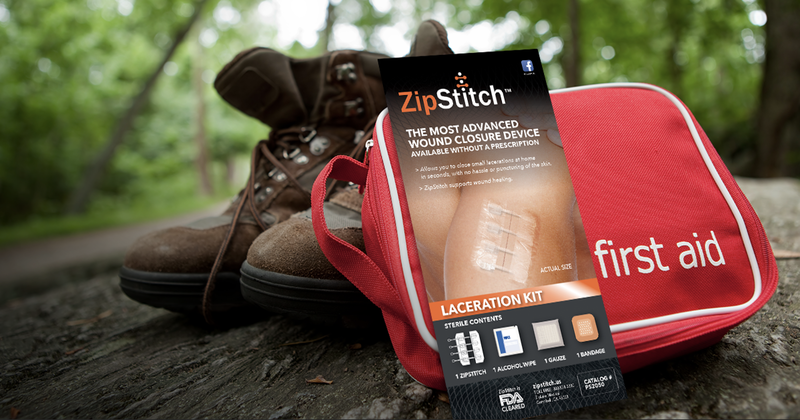 So take a ZipStich, the only surgical-quality wound closure device you can get without a prescription. Putting this in your first-aid kit is a no-brainer, and it’s simple to apply to small-to-medium lacerations. 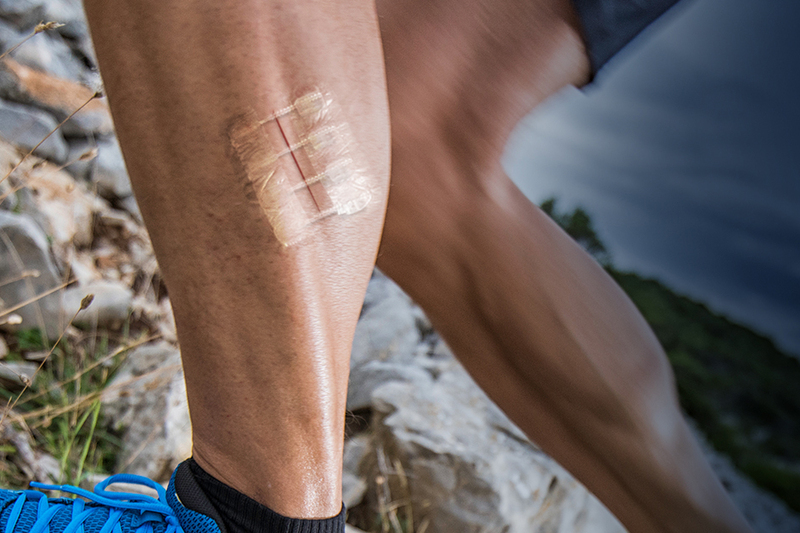 These painful skin ailments are one of the most common complaints among long-distance hikers, no matter how well your boots fit. 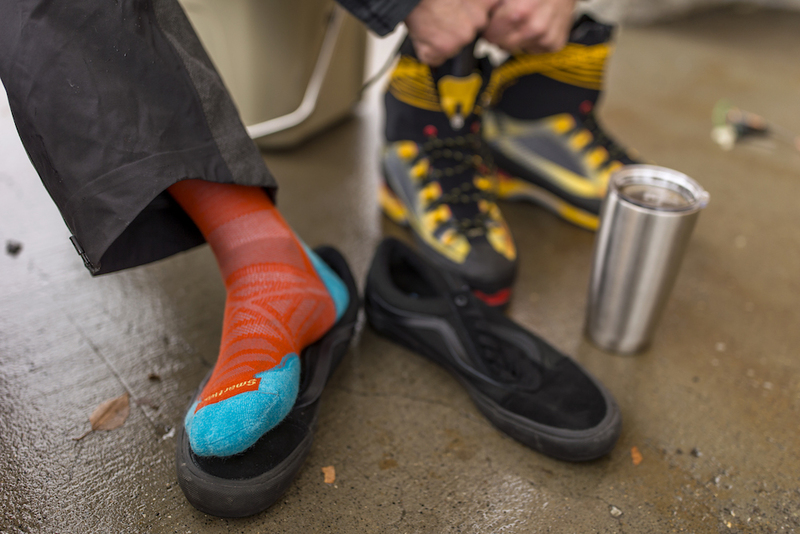 Often, blisters form not because of the footwear, but rather the socks. Remember, whatever sits next to skin is crucial. The fabric (anything but cotton) should be comfortable, breathable, and snug enough to prevent slippage and rubbing, which can lead to blisters. Moleskin is a tried-and-true blister solution for backpackers. And once you learn how to apply the “second skin” properly, it can feel like a lifesaver. Cut a circular section larger than your blister, fold it in half, cut a small half circle in the middle of the section, and apply the doughnut-shaped moleskin over the blister so that any bubbled or open skin rests in the depressed hole to help relieve pressure. Also, always carry an extra pair of socks. A broken bone, whether it’s an uneventful snap in a pinkie toe or a protruding compound fracture, typically spells an immediate trip out of the backcountry and to the nearest hospital. But if you’re way off the grid, having some basic medical devices can at least give you more comfort until you get to an emergency room. We won’t go into full broken bone care here, but carrying a standard wrap bandage, small splint, and adhesive tape can put your bone in a more immovable state, which is the ultimate in self-care. And while we’re on the topic, pain medication is a must for a broken bone and many other wounds. Stock your kit with ibuprofen, Tylenol, and aspirin. If you don’t have allergies, lucky you. But what if you’ve never been stung by a bee and aren’t really sure? Or what if your friend or kid has a reaction? What if you rub up against some weird weeds that do a number on your skin? Allergies are not something to mess with in the backcountry, so it’s better to stash some standard antihistamine in the first-aid kit. Of course, if you are highly allergic to something, such as food, plants, or animals, it’s wise to keep injectable epinephrine on hand as well — just in case. Luckily, the prices are finally coming down a bit on generic EpiPens. For everyone else, a few Benadryl pills in your first-aid kit should help slow any allergic reactions that may arise. 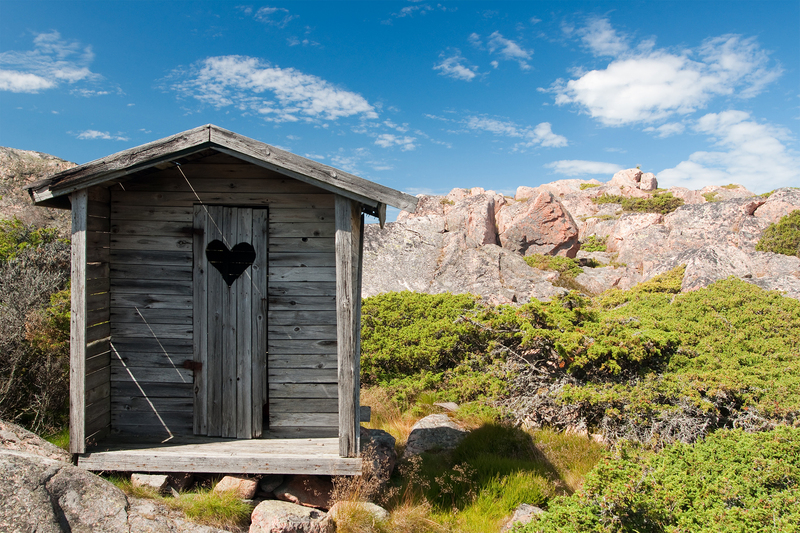 Talk to any mountaineer, backcountry hound, or explorer of the wilds for long enough, and a diarrhea story will inevitably emerge. Loose stools are extra nasty in the woods where you don’t have great hygiene options. But extreme diarrhea that can come from drinking unfiltered water, for example, can become life-threatening if you don’t get it under control fast. Because you lose nutrients with the illness and then struggle to eat again on a queasy stomach, depleted energy levels can make you sicker if you try to hike with the shakes. Avoid the runs at all costs by keeping your food-prep space tidy, washing your dishes, and bringing a water filter. Try iodine tablets or a direct-sip filter like LifeStraw. These are extremely easy to pack and won’t add much weight. But also throw in a travel bottle of OTC antacids, caplet-form Imodium, and even infection-killing Cipro (ciprofloxacin) if you can get your hands on a prescription. Promise, this one is critical. Sometimes, weather sneaks up and puts a hitch in even the best-laid outdoor plans. 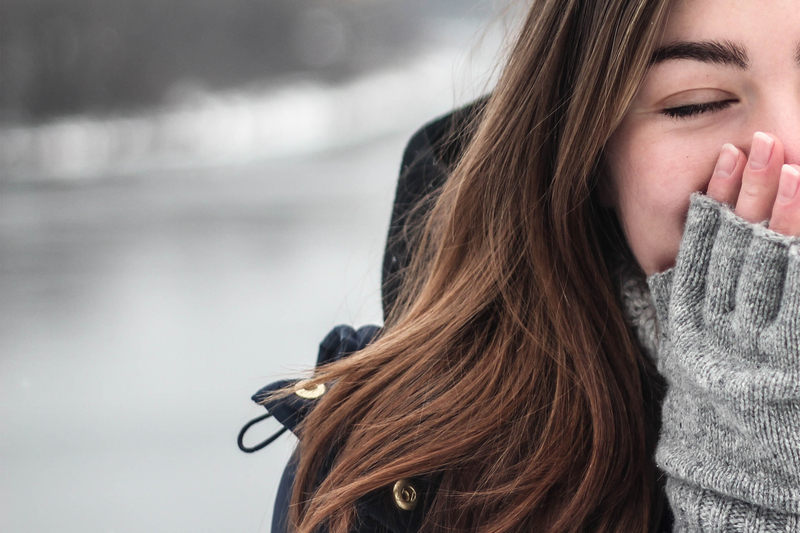 And if you’re not prepared with the right layers and accessories to keep your body moisture-free and at the right temperature — not too cold or hot — you could be in danger. A firestarter is crucial. Make sure you have a reliable spark to start and sustain a fire should you need to build one quickly to get warm or boil water. Beyond that, an SOL emergency blanket is a great piece of compact gear to add to your first-aid kit. 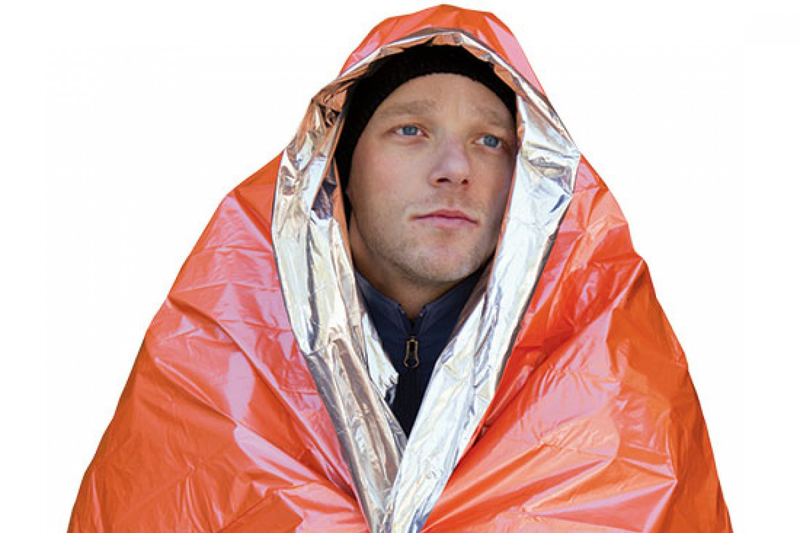 It packs down small, doubles as an insulator for cold nights in the tent, and, most importantly, can reflect 90 percent of body heat back to you in a survival situation. In fact, it can aid in other medical issues such as broken bones, where blood pressure can change rapidly and shock can set in quickly. This article is sponsored by ZipStitch. Learn more about this backcountry first-aid tool here.